In 1878 was in the wine-growing community Neumagen-Drohn (area Bernkastel. Moselle ) the stone tower for the grave of a wealthy wine merchant from around 220 AD as part of the foundations of a fort complex. The ship reminds it in some aspects of a warship. The bow is designed as a ram, the Steven are provided with dragon's heads. 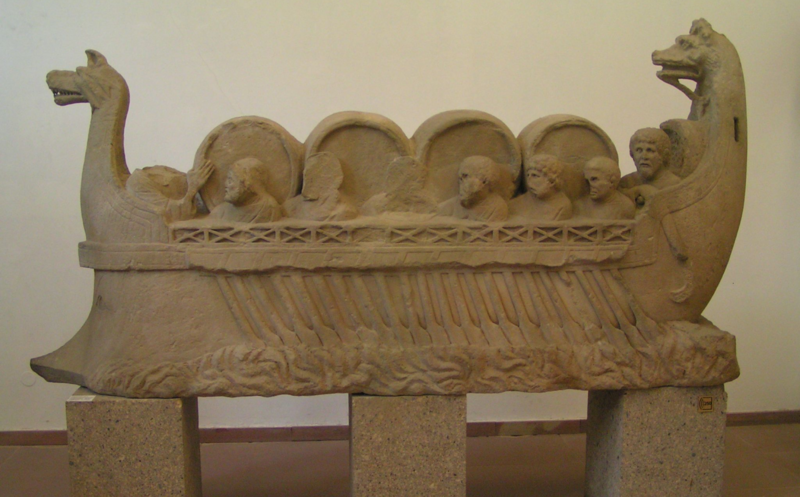 The wine ship shows six oarsmen, two helmsmen and 22 oars. 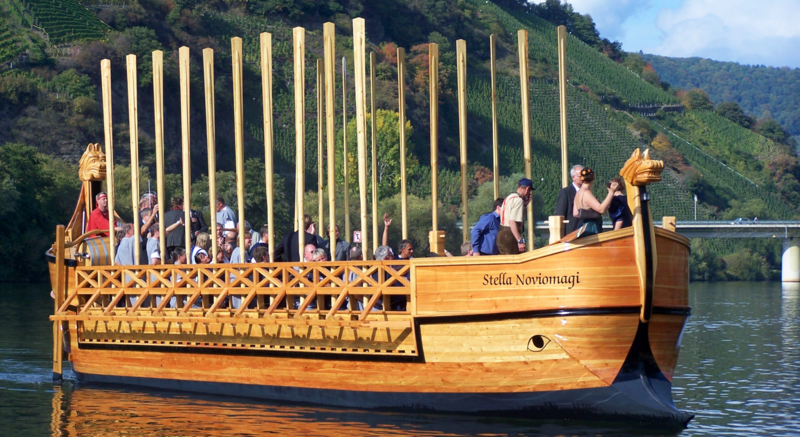 The illustrated four large barrels were probably used for the transport of Moselle wine and are also a sign of the already in Roman times significant viticulture culture of the Moselland. On the basis of these findings and other wine motif finds, the community is referred to as the "oldest wine town in Germany". This page was last modified at 22 February 2019 at 08:14.